Many times culture change initiatives are articulated at an abstract level. e.g. ‘We want to foster a culture of innovation’. The intent is good but the abstractions don’t help much in bringing about a change in the behaviours. In such situations, asking simple clarification questions – what Prof. Edgar Schein calls humble inquiry – can make a big difference. 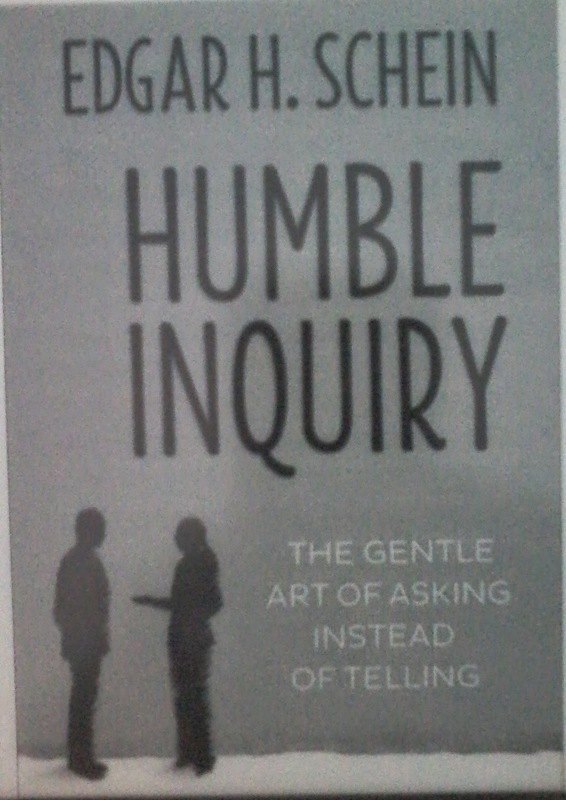 Here is a story Schein narrates in his new book “Humble inquiry: The gentle art of asking instead of telling”. It articulates how a humble inquiry might take the intent of culture of change forward in the right direction. A CEO of a power company wanted Schein to help launch a culture change project. The CEO felt that the organization was stuck in an old and obsolete set of practices. He wanted Schein to diagnose the problem and propose a change roadmap. At this point, Schein didn’t know anything about the organization, CEO’s perceptions or his motivations. Hence, Schein invited him for a meeting to define problem. CEO brought COO and the VP organization development along with him. The discussion began by the three leaders launching into a series of general statements about how the culture of the company was immovable and stuck. Both “immovable” and “stuck” are abstract terms. Hence, Schein felt it is best to clarify what they meant. So he asked for an example. At this point a huge light bulb went off in the heads of all the three people. All of them realized that they are the ones who were reinforcing the so called “outdated” behaviours by their own inaction. Subsequently, the four of them explored other ways in which the old patterns were getting reinforced and how they could change their own behaviour. Over the next year they were able to make most of the culture changes that they desired. When change initiatives are being discussed, simple questions like “Can you please give an example?” that bring out before-change and after-change scenarios concretely can go a long way in adding clarity. Also reinforcing new behaviours is as important as changing behaviours, isn't it?